Tomas Engstrom scores a podium result for Honda in STCC in his Mugen powered Accord. 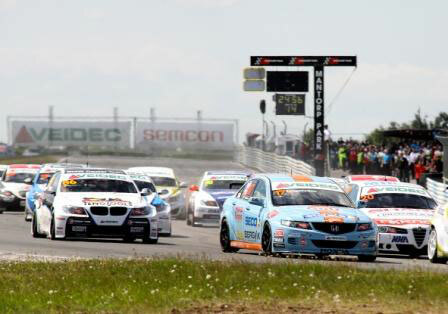 The third round of the Scandinavian Touring Car Championship saw Tomas finishing in the top three. Tomas Engstrom claimed two third places for the Seco Tools Racing Team in Mantorp Park. Tomas Engstrom was fourth in the qualifying and finished third in the first race. In the second race, Tomas Engstrom took off from the second row and defended his position, finishing again brilliant third.